Fargione specializes in prefabricated stairs of reinforced concrete with marble, stone, wood and composite materials facings. Modern, robust, technologically advanced, prefabricated Fargione stairs add value to your home and define your style. Circular staircases, elliptical staircases, spiral staircases, cantilevered stairs, traditional stairs. Indoor and outdoor stairs: the Fargione quality at your feet. 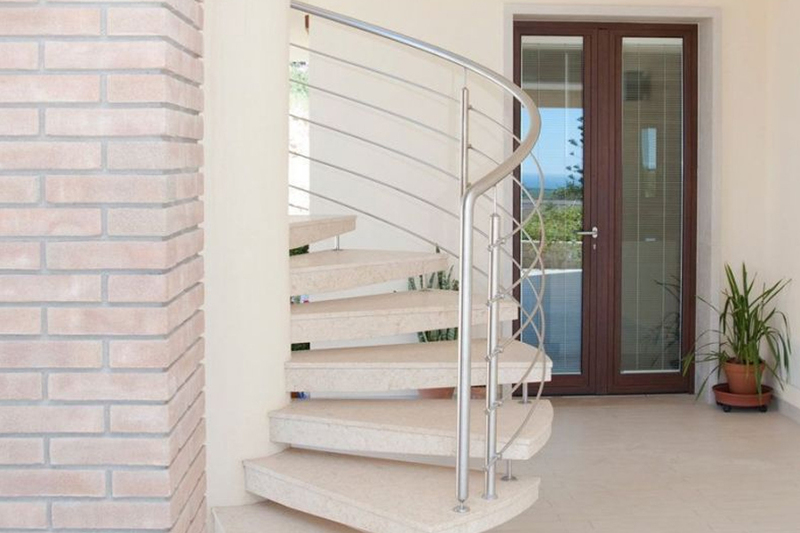 Circular staircases, made of reinforced cement, fit perfectly to the various architectural requirements and decently furnish the indoor and outdoor spaces. The spiral staircases allow you to decrease the overall size of the stairs. Staircases are available in different sizes depending on the width of the space available and the intended use. Save space, give character to the interiors by choosing materials and finishes that perfectly match the style of your home or office. The cantilevered stairs are characterized by the steps fixed directly to the wall. 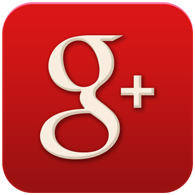 We manufacture stairs for indoor or outdoor; they are all custom made of reinforced concrete. Thanks to the self-supporting system, they fit perfectly to all the most innovative and modern design trends and blend harmoniously into classic and traditional environments. 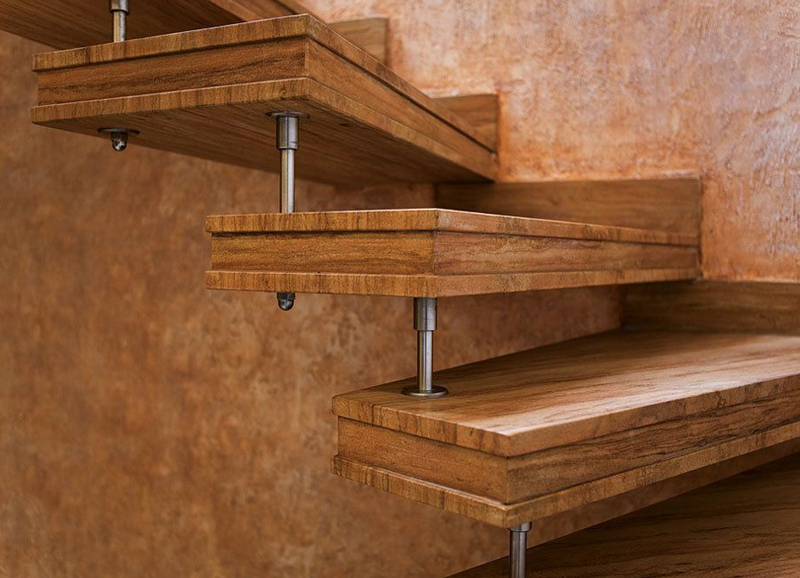 In the cantilevered stairs, the step functions as a shelf and the open side is covered with a protective element, such as a railing or a handrail. The original shapes of the cantilevered stairs add character to the living space. The elliptical stairs give lightness and harmony to your indoor or outdoor spaces. The elliptical stairs are made of reinforced concrete and are characterized by the elliptical stairwell and by the fantail form of steps. Easily adaptable to any space, the elliptical stairs, due to the absence of the newel, are easy to install even in the reduced diameter implementations. The spiral staircases, custom-made of reinforced concrete, are designed and made in the form of a helix. They are elegant and sinuous and bring the classiness to the room. 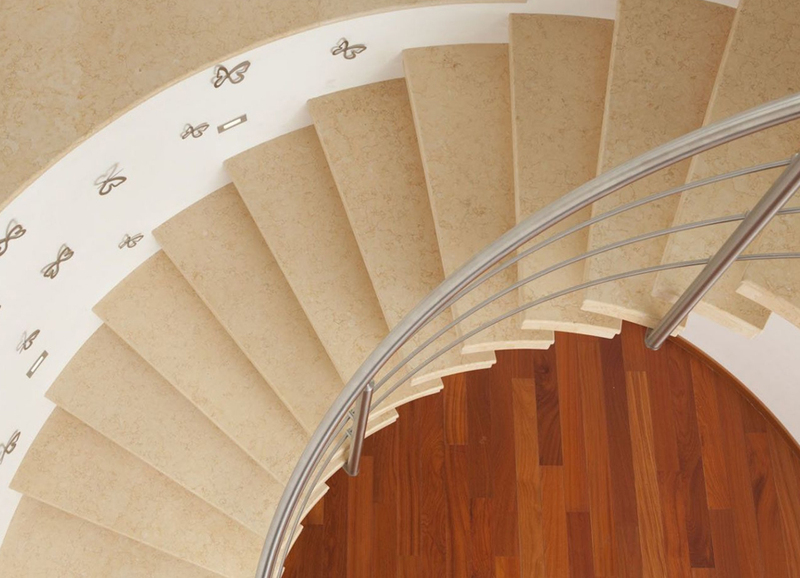 Particularly suited to optimize space, the spiral staircases have many advantages in terms of aesthetics and utility. The lack of the newel makes easier the passage of bulky items; the essentiality of spiral staircases combines perfectly with modern and minimalist furniture. The models of Fargione stairs, made of reinforced concrete, can be adapted to the various needs and decorate your outdoor spaces. 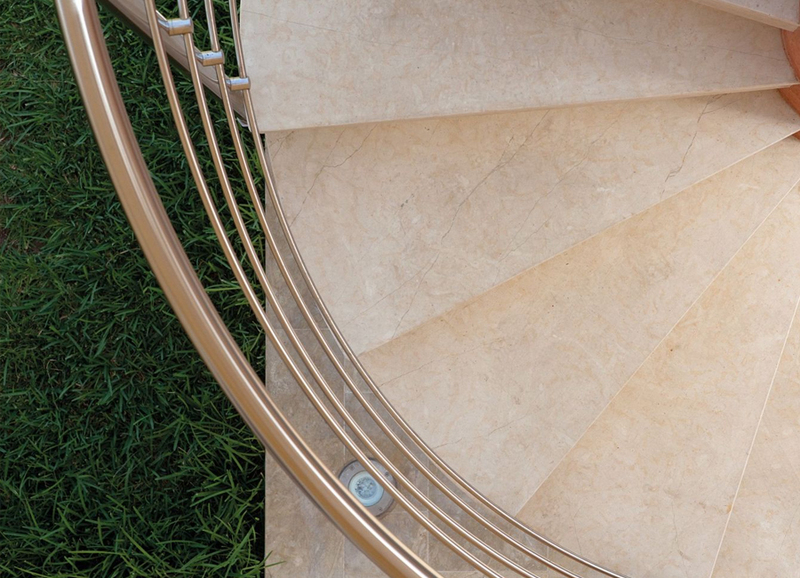 The Fargione outdoor stairs are fully customizable in terms of materials and finishes. You can connect your premises without any sacrificing of the quality and the beauty of our stairs. Our outdoor stairs are durable and weather-resistant, build from technologically advanced materials, which guarantee a long-term use. 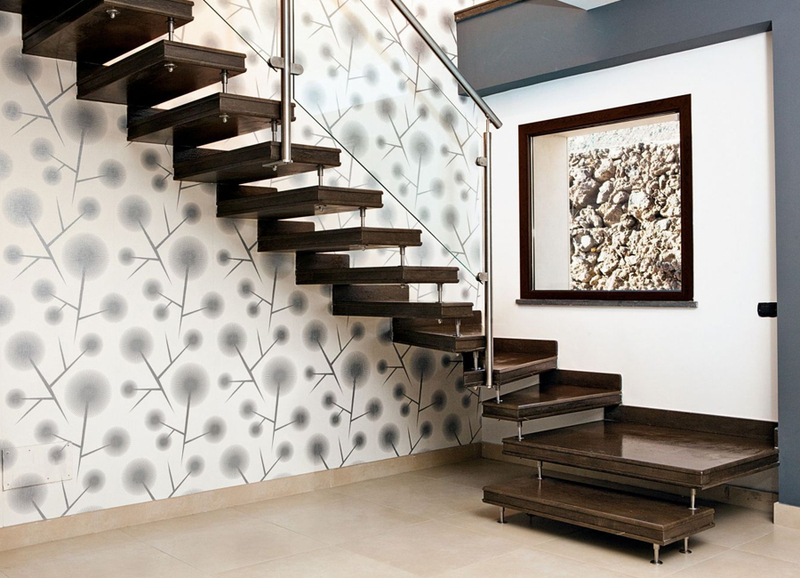 The staircases for indoor use, made of reinforced cement, interpret every kind of style. Combining materials and shapes the staircase will become a piece of furniture. 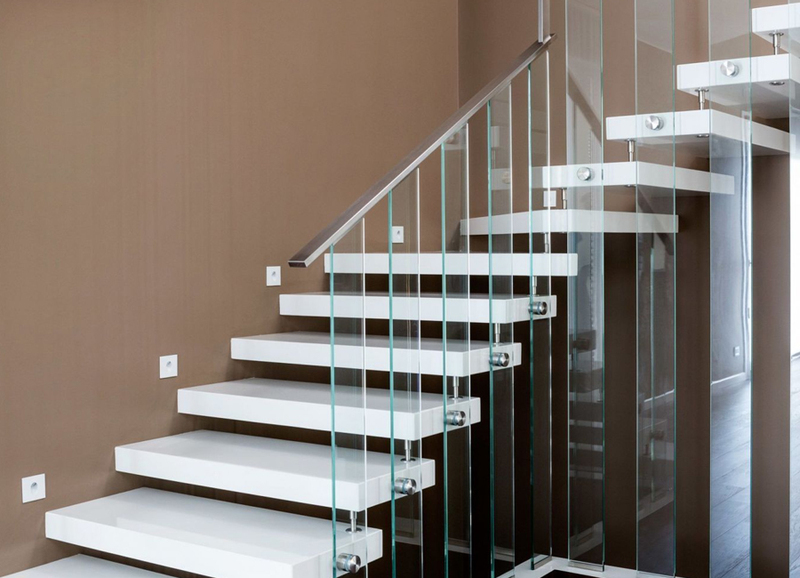 The design and technology of the Fargione company are at your service to project and produce elegant and fine staircases using the best materials, possibly reducing the dimensions and making the most of the space. Thanks to the system of self-supporting the prefabricated stairs Fargione become a valuable element of your home and characterize the living space in a decent and elegant way.